The classic kitchen sink unit comes with antique brass knobs for 3 doors. 2 cane basket for cleaning cloths etc. 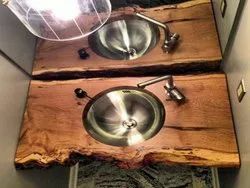 furniture equipped with slate top and sink for wash. 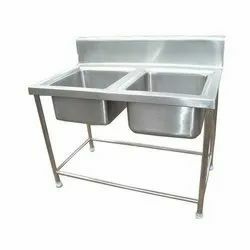 In order to cater the variegated demands of our precious clients, we are offering an excellent quality range of SS Kitchen Sink.